Fruit flies are pesky little buggers that have a short life span of 8 to 10 days but reproduce very quickly. Every summer they sneak into your kitchen and attack fruits and vegetables. They are attracted to fermented and ripened fruit or vegetable and lay their eggs on its surface. In no time they plague your kitchen. Besides fermenting fruits and vegetables, fruit flies also breed in garbage, empty cans, bottles, cleaning rags, mops, and drains. They thrive in damp and moist places. There is a chance that these nasty flies may carry bacteria and contaminate foods and beverages. Usually, the bacteria carried by them are not harmful, but can affect the quality of fruits and vegetables by causing them to rot fast. To help you to banish these pesky buggers from your kitchen, we have piled up all our best tricks to get rid of fruit flies. Rue– Rue although tastes bitter, but its aroma is hated by the fruit flies. Grab a bunch of rue and keep it around the bowls of fruits or other foods and beverages. The unpleasant smell of rue will repel the fruit flies and keep them at bay. A glass jar- Make sure that the jar you use do not have a wide mouth neither it should have a short mouthed. Make a cone with the paper sheet with a half-inch opening at the bottom. Make sure the cone you made should fit into the jar snugly. There shouldn’t be any gaps along the glass rim. Also, leave an inch space between the glass and the funnel bottom. Add a small amount of vinegar to the bottle. With the help of tape, secure the paper funnel into the glass. Apple cider vinegar attracts fruit flies. They enter into the cone and are drawn in but they are unable to get out. Finally, they get drowned and die. * If you do not have apple cider vinegar you may use wine. If you do not have the wine you may use a fruit piece. And when the jar is filled with fruit flies keep it in the freezer for 20 minutes and flies will die. * If you want, you can reuse this trap. Milk, sugar, and pepper trap- This is a tried and tested trap and has been used to get rid of fruit flies since 1850 in New England. Take a bowl and mix all the ingredients in a shallow dish. Place the dish on your kitchen platform. You can make a few such dishes and place them all around your house. The fruit flies get attracted towards the ingredients. But as they land they are drowned, suffocated and die. Lemongrass essential oil– The aroma of lemongrass essential oil is disliked by insects including fruit flies. Their aroma repels fruit flies and keeps them at bay. Take a spray bottle and fill it with hot water. Add 10-12 drops of lemongrass essential oil to it. 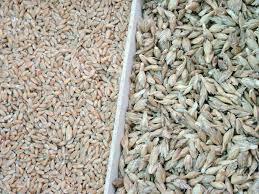 Shake well and then spray this mixture in your house, doorways, windowsills and also on flies if you see them. The best part is this will also keep mosquitoes away and the refreshing aroma keeps mind calm. You can also make a trap similar to apple cider vinegar and paper funnel trap. Here we will use ripened fruit to trap fruit flies. Take a jar. Place the ripe fruit in it. Wrap the opening of the bottle with the plastic wrap. With the help of a toothpick, make holes in the wrap. Keep this jar at the doorway or from where flies seem to enter the house or congregate. Fruit flies enter the trap through holes but they are unable to get out of it. When the jar is filled with fruit flies put it in the freezer for 20 minutes and the flies will die. In this way, you can get rid of fruit flies. Fruit fly spray- Take a spray bottle and fill it with 70 % rubbing alcohol. Spray it on hovering flies, at the point of entry and in the air. This will not only kill the fruit flies, but will also saturate their eggs. Basil leaves– Basil leaves have insecticidal properties. They repel fruit flies. Take a few basil leaves and cut them. Put the cut leaves on the food items. The best part is basil leave is a medicinal herb and also enhances the taste. There are also some preventing measures you should keep in mind to get rid of fruit flies. Never leave ripened fruits and vegetables exposed. Either keep them covered or in the refrigerator. Use a garbage bin with lid and yes, do empty your garbage bin regularly and clean them. Keep your sink clean. Add bleach to it every week. Do not use bleach with ammonia. Dear readers, we have shared all our best tips to get your kitchen fruit fly free. 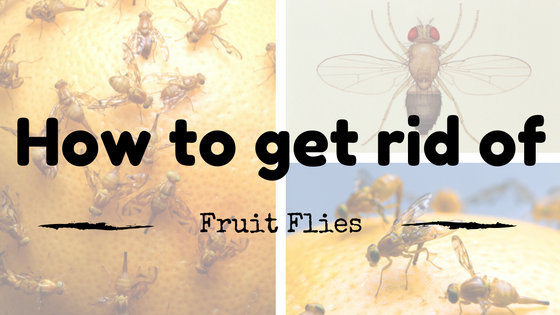 If you have some more tried and tested tricks to get rid of fruit flies do add them below in the comments.